The Saskatchewan Heritage Fair Program is a multi-media initiative aimed at Grades 4-8 that supports interdisciplinary inquiry and understanding regarding Canadian heritage, culture, and history. 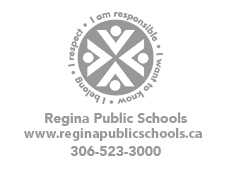 Individual/groups of students, single/multiple classrooms, and/or entire schools can be involved which may/may not include hosting a celebration of learning, participating in Regina Regional Heritage Fair (RRHF), and/or having students selected to attend Provincial Heritage Fair (PHF). Additional information regarding the Saskatchewan Heritage Fair Program is available through the Heritage Saskatchewan website and/or Linda Mitchell, Coordinator, Student Achievement (linda.mitchell@rbe.sk.ca). The Regina Regional Science Fair (RRSF), in partnership with Youth Science Canada, provides a mechanism for students from Grades 7-12 to participate in inquiry, communicate their scientific ideas and process to professional scientists, receive constructive feedback, and prepare for advanced levels of science fair competition. Initially, the science fair program is delivered via the classroom with selected projects advancing to the RRSF from the school level and Canada Wide Science Fair (CWSF) from the regional level. .
Additional information regarding the Science Fair Program is available through the RRSF website and/or Shayne McMillen (shayne.mcmillen@rbe.sk.ca).